In December, I had the wonderful pleasure of getting to photograph two of my favourite people in possibly my favourite place in the whole world - Perth in Western Australia! After booking a very last minute trip, I flew to Perth to photograph this gorgeous couple ahead of their Bali wedding in August! I wanted to try out a few different shots so we headed down to a quiet beach just north of Perth city beach on a scorching hot day. I was beyond excited for this shoot but also a little apprehensive - photographing portraits in bright sunshine can be really difficult! 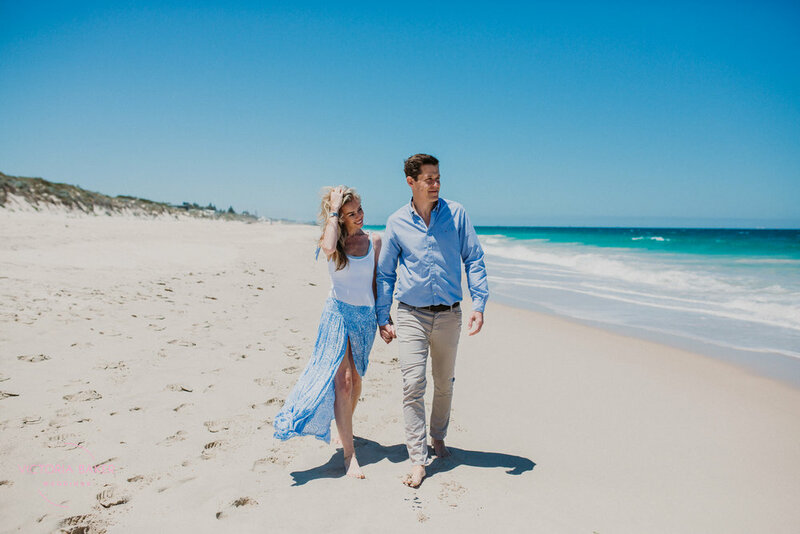 I am so happy with how this engagement session turned out, all I want to do now is photograph beautiful couples on amazing beaches in bright sunlight!! Penny and Ben are a wonderful couple, they are so patient and kind with each other, and so much fun! It was just so wonderful to spend a great couple of weeks together! I just wish Australia was closer! I have so many to share, but here are a few of my favourite images from this amazing engagement session.